A trip to the intensive care unit for a serious illness may result in Alzheimer's-like symptoms for a year or longer after leaving the hospital, according to concerning new research. Researchers at Vanderbilt University studied hundreds of patients from the time they entered the ICU to 12 months after they were discharged, and found 75 percent of them left the hospital with a cognitive problem. One in three left with cognitive troubles similar to what's seen in patients with Alzheimer's. The study's authors point out that survivors of a critical illness frequently report developing new cognitive troubles or experiencing worsening ones, but not much is known about long-term risks. "We knew that something was going wrong with people's brains when they were getting out of medical and surgical ICUs but we didn't understand to what degree their brains were being disabled and then having to live with that throughout their life," Dr. Wes Ely, a professor of medicine and critical care at Vanderbilt University Medical Center in Nashville, said to the CBS Evening News. "So, we set out to define exactly what was going on with the survivors of critical care in terms of brain function." Common reasons a person might be admitted to the ICU include breathing failure, cardiogenic shock -- a medical emergency when the heart suddenly can't pump enough blood -- or sepsis, a potentially deadly illness in which the body has a severe reaction to bacteria or germs. Sepsis is the number one disease people come into the ICU with, says Ely, and many who battle it or other critical illnesses may experience "delirium," a type of temporary brain dysfunction marked by extreme confusion. Delirium has been associated with increased risk for long-term cognitive problems. Taking sedative drugs while in the ICU may increase risk for delirium. The researchers think delirium itself may be the strongest predictor of long-term cognitive problems, and could serve as an area for doctors to better target to stave off thinking and memory issues. For their study, researchers enrolled 821 ICU patients and gave them cognitive tests at three and 12 months after discharge. 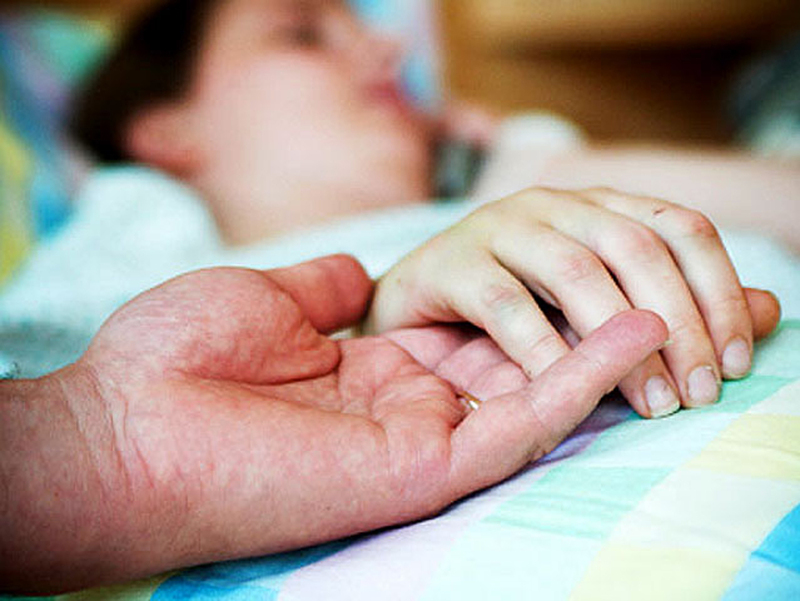 Delirium developed in 75 percent of them during their hospital stay. Persisting cognitive impairments at 12 months were seen in both older and younger patients, with 34 percent and 24 percent of all patients having cognition scores similar to patients with moderate traumatic brain injury and mild Alzheimer's disease, respectively. Ely, an associate director of aging research at Vanderbilt, started the study thinking that people over 65 would be most at risk. But, he found healthy people in their 30s and 40s -- who should be at the height of their brain function -- developed cognitive problems after the ICU. Taking a sedative itself was not independently associated with risk for long-term cognitive impairment. Ely called the results "dramatic," but added, "we weren't as surprised by the numbers as we were worried that the rest of the world was not aware of this problem." This study only tracked patients for one year, but the researchers have continued to look at the study group and plan to track them for four to six years. While those results have yet to be published, Ely said most of the patients whose problems did not resolve early unfortunately still have permanent cognitive impairments. "It's really a shocker to most people to understand that when they survive and they go through all of that ICU experience now they have to survive with essentially a new disease of the brain," he said. Lisa Uribe, a 46-year-old who underwent routine gallbladder surgery 18 months ago, has been feeling these effects firsthand since her procedure resulted in an infection and a three-week trip to the ICU. She still experiences short-term memory loss and other cognitive troubles that prevent her from working or driving without getting lost. "Being somewhere and not knowing why you are there or what your purpose was for being in this location. It's a scary thing," Uribe told the CBS Evening News. "Every day I wake up and I keep thinking this is the day I'm going to go back to my old life." Some people who have cognitive problems stemming from a serious illness may be incorrectly diagnosed with Alzheimer's, Ely added, "which is why we think that this is a major public health problem that the community and the lay public need to be aware of." He thinks more needs to be done to keep patients in the ICU alert, awake and walking around if possible to reduce their odds of developing delirium. Exercising your brain with puzzles and games like Sudoku and Scrabble while in the ICU may also boost brain function. Monitoring how much patients sleep may also improve outcomes, since beepers, lights and staffers taking X-rays or blood tests may prevent someone in the ICU from getting adequate rest. Ely says in general that hospitals need to get better at safely handling ICU patients. "We package eggs in a very careful fashion so that the eggs are not broken when we get them home. In the ICU, we need to package our patients more carefully so they don't get broken while they are in the ICU," he said. "We get them out of the ICU not only living, but living to the fullest of their capacity as close as before they got sick, which I think is not happening to our best of our ability in the present time." In an accompanying editorial published in the same journal issue, researchers at the University of Toronto pointed out that not all patients had delirium, and some of the patients with cognitive problems at three months showed improvement by 12 months. Still, the study "unequivocally" showed that cognitive impairments in these patients is a public health concern. "This new knowledge provides detailed education for patients, families, ICU stakeholders, primary care physicians, and health policy makers and should fuel an informed discussion about what it means for our patients to survive an episode of critical illness, how it changes families forever, and when the degree of suffering and futility becomes unacceptable from a patient-centered and societal standpoint," wrote Drs. Margaret Herridge and Jill I. Cameron. The study will be published online on Oct. 2 in the New England Journal of Medicine.